The Easyrig Vario 5 Vest with Flowcine Serene Preinstalled redistributes equipment weight to make long shoots easier, while also smoothing out your footage. 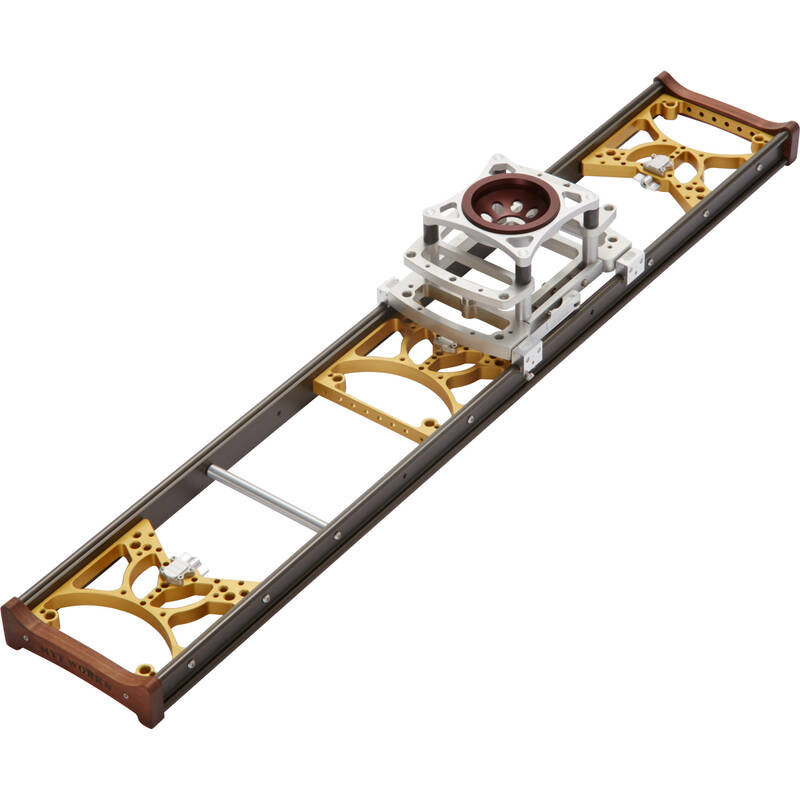 Weight Redistribution and Support. The Easyrig Vario 5 Vest redistributes your camera setup’s weight through the body harness, meaning that you can hold the camera steady during longer shoots with minimum fatigue. 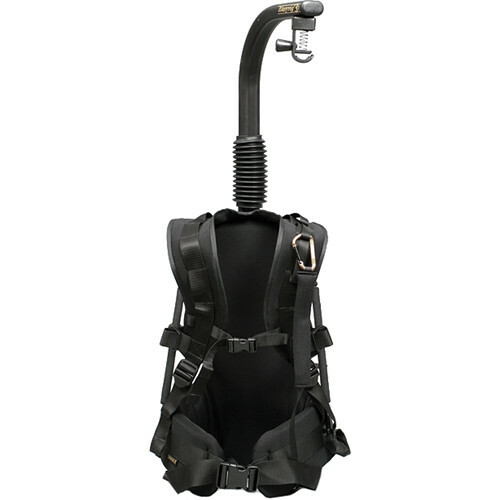 The preinstalled Gimbal Rig Vest gives you additional lower-back support, which further eases the strain of using a heavy stabilizer rig. Increased Stability. 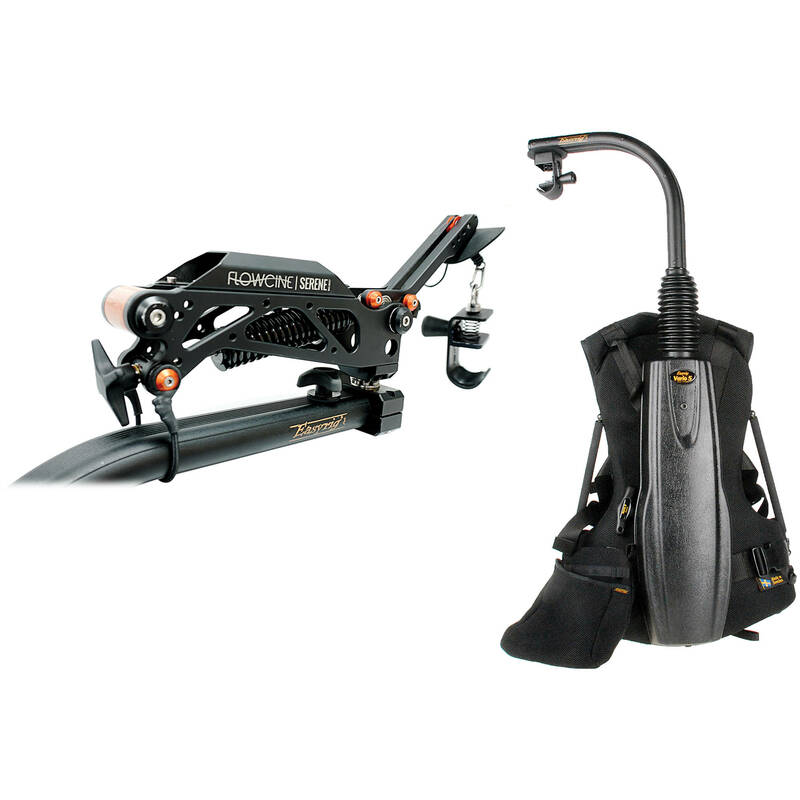 The Vario 5’s support rope adds a vibration-reducing point of contact to the harness. The preinstalled Flowcine Serene further counteracts vertical vibration caused by walking or running during tracking shots to give you smoother video. 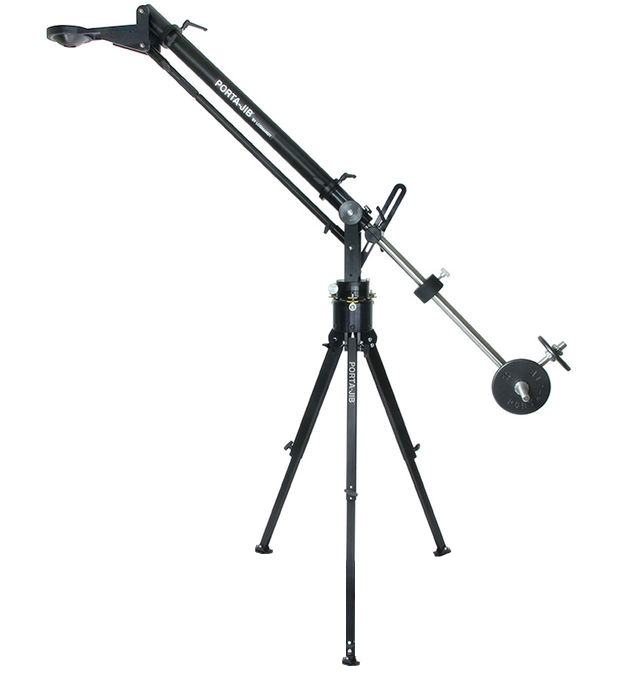 It can also counter-pivot around its center axis to mitigate side-to-side motion during capture. 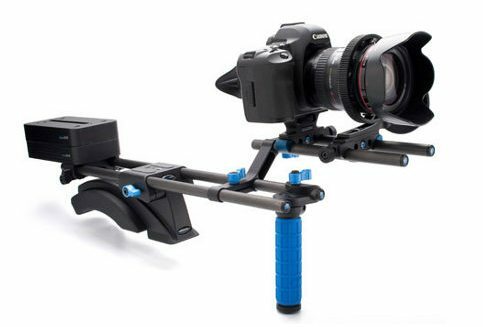 This Easyrig Vario 5 rental is available for local pick up in Los Angeles or nationwide shipping.